The Android Collectible line from Dead Zebra and Andrew Bell has been around for a while, offering up our favorite little Bugdroid character in a lot of different costumes. 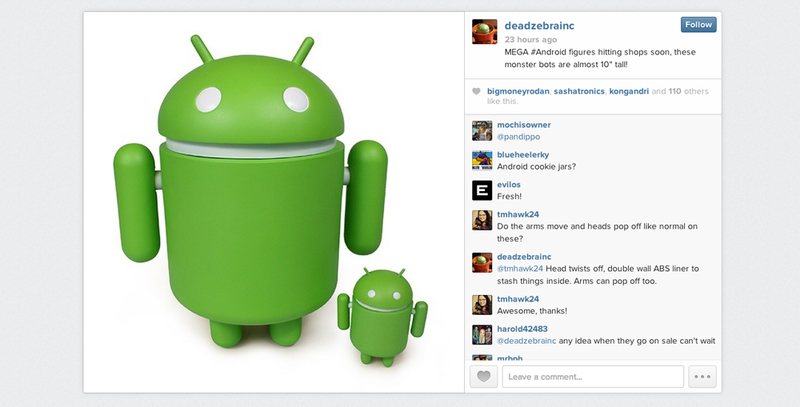 Have you ever wondered if you could have a bigger Bugdroid? 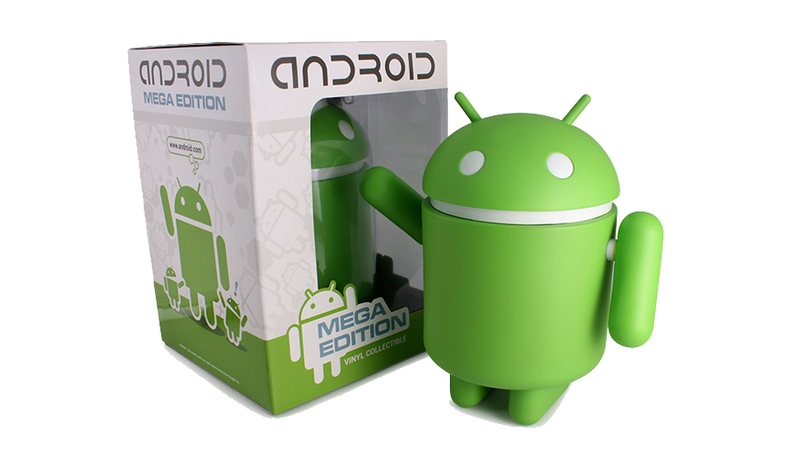 Well, today is your lucky day with Mega-sized Android Collectibles rolling out this week. These new Megadroids stand nearly 10″ tall, so no one will be able to question your Android love when they see this guy on your desk. For those who need a secret stash while at the office, the body of the figure opens up to reveal a nice-sized compartment, as well. The new larger size costs $69.99 in Android green, but you can also get your hands on a blank Android and decorate it yourself for $5 less. Below are a few of the many websites that are selling these oversized Androids. Too much Android for you? Or not enough?